It seems that we live in a world with a lot of anxiety. It is easy to be swept up in a sea of fear and anger as we watch the climate change, listen to divisive political discourse, feel the weight of injustice, worry that our news is fake, and hear that danger is all around us. We may feel a tightness in our chest, break into a cold sweat, retreat into ourselves, or any other coping mechanism that we deploy to feel some safety in the face of uncertainty. But what is the nature of this “safety?” It seems empty. Somehow, anxiety finds a way to creep back in. In reality, our self-imposed isolation separates us from that which could actually help; seeking connection with ourselves, others, and the natural world. When we seek connection, we engage in an act of trust. When we look inside ourselves, we trust that we are worthy of careful consideration of what we find. Perhaps we are harboring some deep hurt, or maybe our fear comes from unresolved questions. If we are to resolve our innermost anxieties, we must have the freedom and the patience to connect with ourselves without reprimand. We are who we are. Starting to discover this self-trust opens up a significant pathway to confidence and self-love. Both of these are remedies to the anxiety that may be imposed on us in these times. But this inner connection alone is not enough. We need others who can bring out the best in us. These may be professional mentors, therapists, or councilors. Or, they may be trusted members of our community, family, or friends. This too takes trust. Again, it may seem like a scary option to be emotionally vulnerable to others. However, this fear comes from the fact that people just don’t share their emotions enough. Fortunately, there are simple steps to overcoming this fear. Start by simply saying hello. More often than not, people go through their usual routine without interacting with any of the people around them. Ask someone new how their day is going. Acclimate yourself to the emotions of others, and you will soon find that people have much more to share than you might think. This will create an environment in which you are safe to share your feelings, moods, and thoughts. Together, we can build trust and safety by reaching out to others. If we can move from seeing others as people we live alongside, to people that we live with, we will be making significant steps to alleviate our collective anxiety. Finally, the importance of a connection with nature cannot be understated. Take a moment to yourself in these spring days to stop for a moment. Listen to the birds, enjoy the warm air, and marvel at the interwoven natural systems with their beautiful complexity. Recognizing that each of us is a part of a much greater network of living beings can be incredibly calming. We should love nature because while we might sometimes think that humans have moved beyond a dependency to nature, in reality, it cares for our needs and works to keep balance. Connectivity with nature gives us an important and calming perspective on the world. We can alleviate many of the factors causing climate change without drumming-up loads of anxiety. If we are in tune with the earth, we can recognize that we should reduce the amount that we waste, and care about protecting our rivers, lakes, forests, deserts, and all other environments for their own sake. I admit this approach is open to a great deal of nervous skepticism. All I ask is that you give it a try this month. 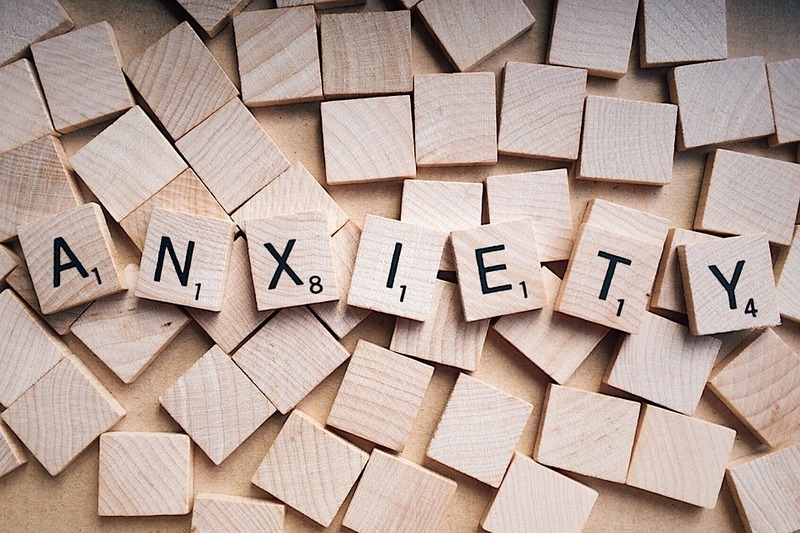 When anxiety flares up, see how you can connect instead of withdrawing. I think that doing so is not only a radical approach to self-understanding but also a catalyst of system-change. We should do this because each of us deserves to feel secure and part of something greater than ourselves.